WEST LAFAYETTE, Ind.  Older people who do not have help for daily tasks such as dressing and bathing are much more likely to be hospitalized for acute illness than older adults who receive the help they need, a Purdue University study indicates, suggesting that reducing health-care costs for older adults may be as simple as providing them with a little household help each day. A research team, including Purdue nursing professor Laura P. Sands, has found evidence that older adults who qualify for nursing-home care because of their disabilities in daily tasks can continue to live in their homes provided they receive assistance with fundamental needs such as bathing, dressing and preparing food. Elders who lived alone without such needed assistance were more likely to require hospitalization. After a few weeks of help with daily tasks, however, the need for health care dropped off, implying that a little help with the basics goes a long way. 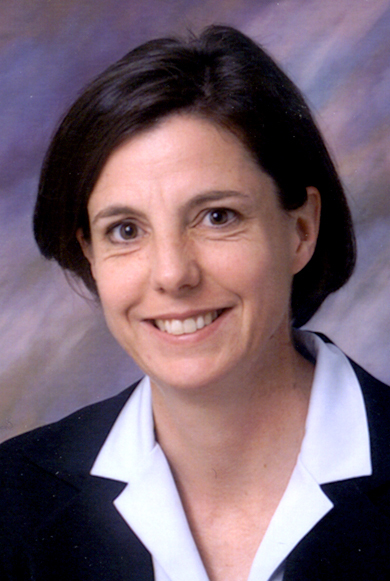 "While such essential care would not include the cost of visits to the doctor, our data suggest that people who receive additional assistance would be less likely to be hospitalized, and that could conceivably allow us to keep our health care-costs down while still providing for our frail elders," said Sands, who is an associate professor of nursing in Purdue's College of Pharmacy, Nursing and Health Sciences. "As our population ages, there will be more need to find economical ways to care for this group, and adequate home-based care could be both less expensive and more effective for some than full-time nursing-home care." The group's report appears in the Feb. 6 issue of the Journal of the American Geriatrics Society. Team members also include Purdue's Yun Wang, George P. McCabe and Kristofer Jennings; the University of California, San Francisco's Catherine Eng and Kenneth E. Covinsky. To examine what effect living with unmet needs had on the use of medical services, Sands' team studied 2,943 frail older people enrolled at 13 sites nation wide in the Program of All-inclusive Care for the Elderly. The program provides medical and social services that also meets the daily living needs of those eligible for nursing homes. "Nearly 30 percent of adults aged 75 and older have one or more disabilities in performing basic activities of daily living," Sands said. "Additionally, of the more than 2.3 million older adults with severe disability, 84 percent receive some form of public health insurance. We wanted to find out what might be done to help this group more effectively." The team discovered that those who lived with unmet daily living needs before enrollment in the program were more likely to live alone and to have been admitted to a hospital or nursing home in the previous six months. "People who have difficulty with bathing, dressing and walking across a room require our health-care system to a greater extent," Sands said. "Those who have trouble performing such activities have higher rates of hospitalizations, longer hospital stays, and more physician visits than those with no disabilities." But after six weeks of receiving the program's services, the number of hospital admissions for those who had been living with unmet needs significantly declined, becoming similar to the admission rates of those who had their needs met before enrollment. "What this suggests is that if a homemaker or personal assistant helps these frail elders for a few hours a day, they would be less likely to experience medical conditions such as hunger, dehydration, falls and skin problems that occur when disabled older adults do not receive needed help with daily tasks." Sands said. "As our government is under increasing pressure to develop fiscally feasible solutions for caring for disabled older people, we feel providing disabled elders with adequate home-based care should receive further attention." Sands said that while the concept would not eliminate older people's need for regular medical attention, it could reduce preventable illness, which would improve the quality of life for the generation of baby boomer Americans, many of whom will need some form of care within the next decade. "We're talking about helping people stay relatively independent as long as possible," she said. "That's what many elderly people and their younger family members desire." Sands also said that $132 billion is spent yearly in the U.S. on long-term medical care, about 73 percent of which goes to nursing homes. Half of long-term care is paid by the government. Keeping a person in a nursing home costs the government around $30,000 per year, while paying a personal assistant to visit for a few hours a day would cost perhaps a third as much, she said. "More importantly," Sands said, "you'd be helping a person stay in their own home." This research has been funded in part by the National Institutes of Health. Members of the research team are affiliated with Purdue's Center for Aging and the Life Course and the Regenstrief Center for Healthcare Engineering. The Center on Aging and the Life Course aims to promote aging-related interdisciplinary research and education that enhances quality of life for the elderly. The Regenstrief Center for Healthcare Engineering at Discovery Park, the university's research and enterprise hub, aims to re-engineer health-care delivery by applying a multidisciplinary approach emphasizing systems engineering and management principles. Some initial areas of research include improving the safety and efficiency of patient care, providing more efficient deployment of physicians, nurses and other health-care personnel, and better coordinating inpatient and outpatient treatment. OBJECTIVES: To determine whether older people who do not have help for their activity of daily living (ADL) disabilities are at higher risk for acute care admissions and whether entry into a program that provides for these needs decreases this risk. DESIGN: A longitudinal cohort study. SETTING: Thirteen nationwide sites for the Program of All-inclusive Care for the Elderly (PACE). PACE provides comprehensive medical and long-term care to community living older adults. PARTICIPANTS: Two thousand nine hundred forty-three PACE enrollees with one or more ADL dependencies. MEASUREMENTS: Unmet needs were defined as the absence of paid or unpaid assistance for ADL disabilities before PACE enrollment. Hospital admissions in the 6 months before PACE enrollment and acute admissions in the first 6 weeks and the 7th through 12th weeks after enrollment were determined. RESULTS: Those who lived with unmet ADL needs before enrollment were more likely to have a hospital admission before PACE enrollment (odds ratio (OR)51.28, 95% confidence interval (CI)51.011.63) and an acute admission in the first 6 weeks after enrollment (OR51.45, 95% CI51.002.09) but not after 6 weeks of receiving PACE services (OR50.86, 95% CI50.531.40). CONCLUSION: Frail older people who live without needed help for their ADL disabilities have higher rates of admissions while they are living with unmet ADL needs but not after their needs are met. With state governments under increasing pressure to develop fiscally feasible solutions for caring for disabled older people, it is important that they be aware of the potential health consequences of older adults living without needed ADL assistance. J Am Geriatr Soc 54:339344, 2006.